been doing this for a few years now and i cant remember but i thought when i bought it, it cranked somewhat faster. tried different batterys, currently have a car battery hooked in series with atv battery but it still cranks slower than i think it should. it does start, but sounds like it barely starts. in the winter on first start of the day (below freezing) it usually barely fires, stalls and stays started the 2nd attempt. hot engine, cold engine dont matter, slow crank. tried a db electric new starter with no change. Could my bendix cause slow crank? I would think if the bendix was rusted in the bushings it MAY make it turn slower(but I also think if there was water in there, and got the bendix rusty, the centrifugal portion of the bendix wouldn't work either) My guess is no. I have seen the inner clutch cover to engine seal get damaged and get behind the drive clutch before. Worth a look at least. I've seen incorrectly functioning EBS drive clutches cause a drag(but only in gear) put it in N or park and it wouldn't affect it. i hooked up a battery directly to the starter and it cranked fast! now it was just a matter of working my way backwards. i focused on the ground wires first as that seems to be a very common issue with slow cranking engines. cleaning terminals and grounding points didnt fix it. 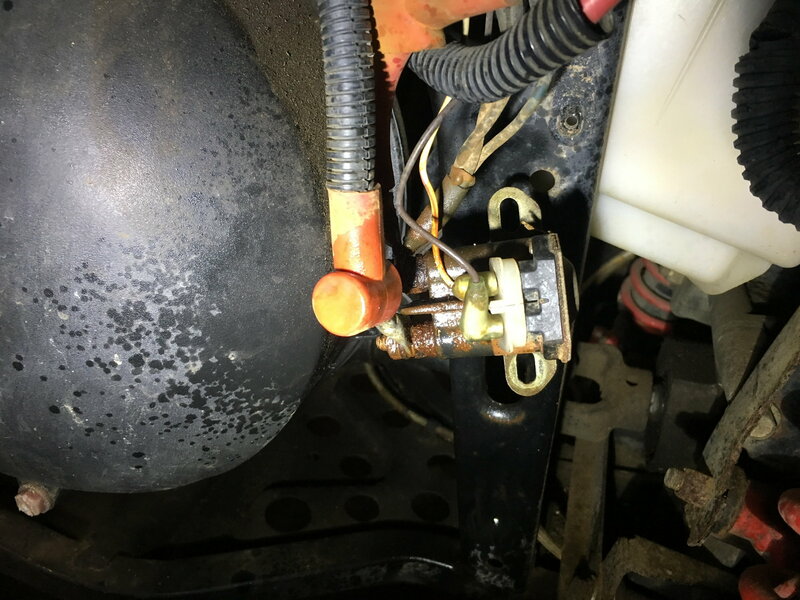 i followed the positive wires and found the starter relay looking a little rough, once i removed the red rubber boots and i found the problem......corrosion. the rubber boots were packed full of sand/debris and probably holding moisture for years. cleaned everything up and all is great! Nice! Glad you found it. Also glad you replied with your fix. Could help others in the future! !